To honor Autism Awareness Month this April, the Build-a-Bear Workshop has partnered with Autism Speaks to make the Autism Speaks bear. The Autism Speaks bear ($18) will be in Build-a-Bear Workshop stores as of March 27, 2013 (available while supplies last) and $1 from the sale of this bear will be donated to Autism Speaks. Throughout April, guests can donate $1 (or more) to Autism Speaks upon check out at Build-a-Bear Workshop stores within the United States on line at buildabear.com. 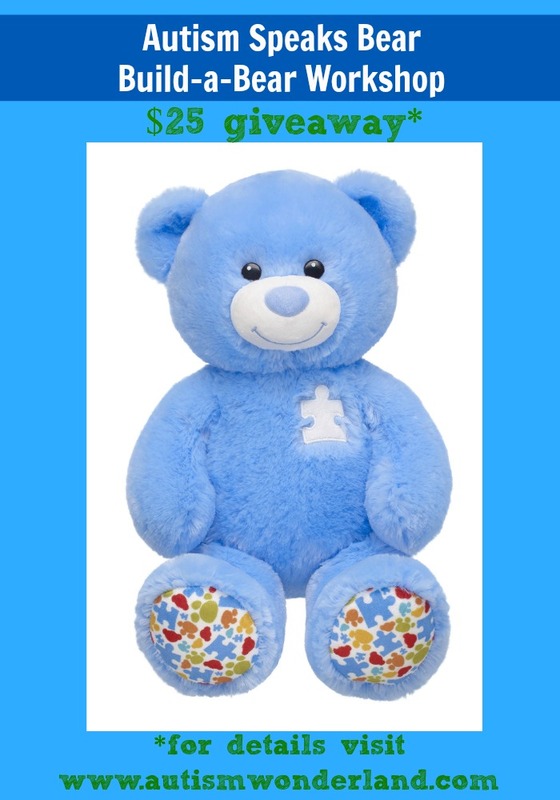 Cute, cuddly and for a good cause, the Autism Speaks bear will make any child - with or without - autism very happy. I'm excited to host a $25 Build-a-Bear Workshop gift card giveaway. Giveaway is open to Continental U.S. Gift Card will be mailed directly from Build-a-Bear office. Mandatory entry: Leave a comment. This giveaway will end Thursday, 3/21/13 11:59 pm EST. Winner will be announced on Facebook & Twitter by 3/22/13 Noon EST. I will contact the winner and you will have 24 hours to reply. Disclaimer: I was provided with a complimentary Build-a-Bear Autism Speaks bear. All opinions are my own. This is so great! I love the design of the bear!!! Thank you for the opportunity!! 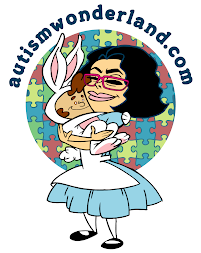 Several months ago I wrote to BAB and suggested doing a bear for Autism Awareness Month. I was excited to see this and plan on getting one the day it comes out! My 7 year old is Autistic and excited to get this bear soon! I believe this is their 8th year and they've donated over $700,000 to Autism Speaks! Thanks for the chance! Amazing attention getting bear! Buying my 12yr old autistic daughter one tomorrow!